2009 Malbec Labels are Finally Finished! Bad Astronauts’ First Trademark Dispute! Geoffrey on Announcing the 2007 Comet Colombard! 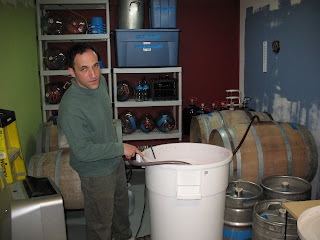 Here’s Jeff racking the wine into the barrel.